Pet foods, much like human foods and food products, are constantly changing to meet consumer demands. Raw, grain free, vegetarian, and vegan pet foods are now readily available, and there are many websites that provide recipes to make your own. As consumers of these products, it is important to learn about the various options and discuss your plans with your veterinarian. Not all pet foods are ideal for all pets – there are lots of variables to consider! 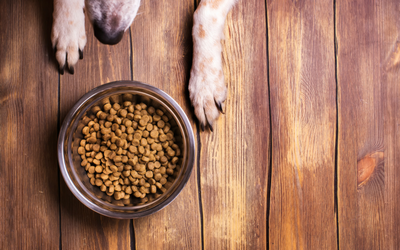 Last month, the FDA issued a warning of a possible link between certain types of pet foods and canine heart disease. Diets with the main ingredients of potatoes, lentils, or pulses (pulses are the dried edible seeds of certain plants in the legume family, including peas, lentils, beans, and chickpeas), appear to be linked with cases of dilated cardiomyopathy in dogs that are typically prone to the disease. Dilated cardiomyopathy is a disease of the heart muscle that is characterized by an enlarged heart that does not function properly. It often leads to congestive heart failure. Other concerns have arisen over the past year with potential contamination of some pet foods. There have been recalls of pet treats and foods with elevated levels of naturally-occurring beef thyroid hormone, and of foods and treats that may have been contaminated with Listeria, Shiga-toxin-producing E. coli, and Salmonella. While cats may not be affected by some of these bacteria (e.g., Shiga-toxin-producing E. coli does not appear to cause illness in cats), these bacteria can cause serious illness in humans who handle the food, and infected cats can become carriers and transfer the bacteria to the home environment. To check the list of pet foods that have recently been recalled in the United States, visit the FDAs website (https://www.fda.gov/) and type “pet food recalls” in the search bar. To check recalls in Canada, visit the Government of Canada’s website (https://www.canada.ca/en/services/health.html) and follow the “Recalls and alerts” link, and in Australia, visit the Australian Competition & Consumer Commission’s website (https://www.accc.gov.au/consumers) and type “pet food recalls” in the search bar. We all want the best for our pets. The best place to find accurate information about the advantages and disadvantages of any pet food is your veterinarian. As such, it is advisable to discuss your pet’s dietary needs with your veterinarian and make any significant dietary changes under veterinary guidance. Good health starts with good food. Ask your veterinarian.